We added 130 Philips CD-i games to the site. Many of them don't have prices yet because there hasn't been a sale since we started tracking them. But we will show the prices for all the games as soon as we see a sale. You can find the CD-i prices under the "Other Systems" heading in the menu. Thanks to all the users who suggested CD-i games be added. We finally had a chance to get our hands on the Nintendo 3DS. The line wrapped all the way around the Nintendo booth and took about an hour and a half to get through. It was all worth it though. The 3DS pulls off great 3D effects without the need for glasses. The 3DS section of Nintendo's booth is separate from the rest of the Nintendo games and you are only allowed 20 minutes to see/play about twenty five different games. Most of the games are only video demos that demonstrate the 3D effects but a few of the games actually allowed some actual gameplay. One problem with reviewing 3DS games is pictures and videos will not show up in 3D. So you really need to play the games to fully appreciate the 3D effects. Hopefully Nintendo has tons of demo stations available before the new system launches. Resident Evil was just a video, but the game easily had the best visuals. An EA developer told us Nintendo brought Resident Evil around to other publishers prior to E3 as an example of type of graphics developers should be shooting for. The video didn't reveal much about the story or gameplay, it was just a teaser. Nobody at the booth was able to tell us if the game would play like the original Resident Evil's with a fixed camera in each room or more like Resident Evil 4 with an over the shoulder style camera. Nintendogs + cats is very similar to the original Nintendogs games for the DS but in 3D and with cats. 3D really helped bring the dogs alive though. The dog would jump onto the screen and hand you a Frisbee. It really felt like they were giving you something. Paper Mario is a perfect game for 3D. Enemies shoot items at you during battles, or parts of them shoot off the screen after you stomp on them. The layered effect Paper Mario has used since its creation really come alive with the addition of 3D. Revisit Wuho island from Wii Sports Resort and Wii Fit in a series of flying games. The game will be very similar to the N64 and SNES PilotWings games, but the 3D really makes it feel like you are flying. The plane feels like it is outside the screen and flying into it. Targets start coming out of the screen as you approach them. The exact same game we have seen since the original Animal Crossing on Gamecube. The town is just 3D instead. 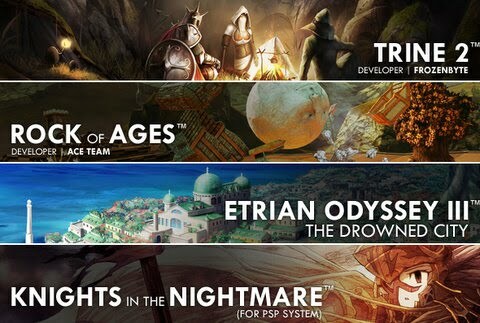 If you've played one of these games already, you probably won't need to play the next one unless the game is entirely redesigned before launch. 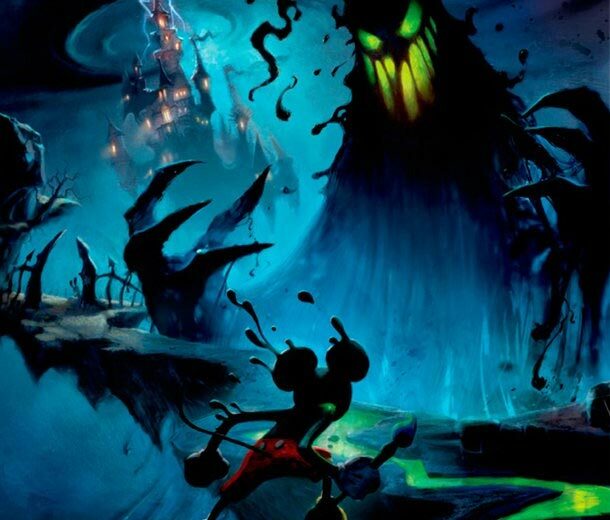 Epic Mickey, what can I say? Well, a lot of things. We literally sat with two developers of this game for 45 minutes watching them play and playing ourselves. There's doubtful a question we didn't get answered, or ask and told they can't answer. I was initially skeptical about this game when they first announced it a year ago. 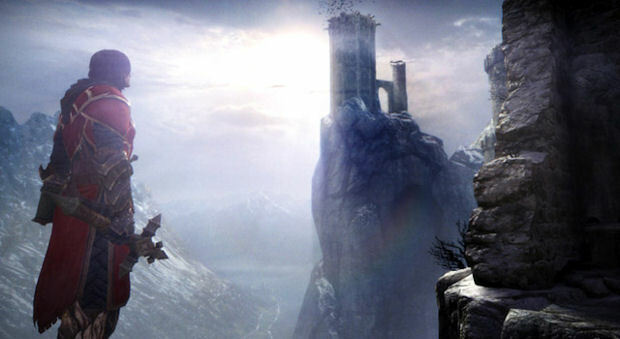 The concept art, seen above, was good but the gameplay could be be awful. Warren Specter (of System Shock and Deus Ex fame) is the man in charge of the game but he's hardly proven himself in the platforming adventure genre. He'd made some great games but still, I had my doubts. Well now that I've played the game myself I have no more reservations. This game looks, plays, and sounds great. The game controls, lovingly enough, a lot like Super Mario Galaxy. The control stick on the nunchuck moves Mario, er I mean Mickey, the pointer aims the paint brush, B/Z launches paint and thinner respectively, a swipe of the Wiimote spin attacks, and A jumps around. The game has a lot of thought put into each and every decision. There's a part where you need to give the shop keeper, a Goofy looking ghost character, three masks. You can either go through and find/jump your way to collect them all or you can find one and give it to him. After he takes it, he puts it behind the desk. You can sneak around the back, erase the shop wall with paint thinner, and steal the mask you just gave him and give it back to him. Here's the catch: if you do that for all 3 masks he'll be tricked because they all look the same and he doesn't know any better. If you do that once and then go grab a new one for the third he'll notice they are different and punish you. The example above is a perfect example of the amount of thought that's gone into this game, and I loved every aspect we saw, right down to the 2D transition levels. There's even a constant effect where paint is falling upward off of Mickey's ears just like the concept art above. It really is a very nice touch to an all around superb looking game. This will be a quick hands-on for one very simple reason, you've played this game before. When it comes to re-creations, NBA Jam (exclusively for Wii) is a great one. The game has the same great feel that the previous game did but with updated graphics, rosters, and modes. The developer on hand in Nintendo's booth claims there are 100's of unlockables to obtain and every single one from the previous game should be available as well. I asked about Obama being a new unlockable, much like Clinton before, and he could not confirm. All he could do was inform me they are doing all they can to get every unlockable character we all feel are necessary. Obama in NBA Jam confirmed!!!! (I kid, I kid). But in all seriousness, this game is fun. We played a great 2 on 2 match and immediately after finishing decided we're throwing a VGPC NBA Jame tourny in November when the game is supposed to be released. Castlevania has always been a critically acclaimed series. No matter what system it's on (NES, SNES, PS1, PS2, etc.) the games are great. Now, let's just ignore the fact that any 3D version of the series was ever made. Seriously, let's forget it. 2D is where Castlevania is best, we can all agree to that. But with this new entry in the series, a 3D game could be just what the doctor ordered. First of all, Castlevania Lords of Shadow is gorgeous. Everything has a shine in the rain, the stone floor gathers puddles, and the enemies look hairy and ferocious. This game is a visual masterpiece. Now, let's talk about the gameplay. It's just as good. Imagine a Dante's Inferno mixed with Zelda, mixed with God of War. The game is simple enough to pick up and play, with only two attack buttons, and it never seems to get stale. After a long sitting with hack'n'slash games I start getting bored. That's not the case with Castlevania. Konami, with the help of Kojima Productions (Metal Gear Solid series), has crafted a well balanced game. At one point you're fighting against a werewolf in a small village, then you're riding a mythical horse while being attacked by Wargs. It does an excellent job of giving you a new gameplay style between all the hacking and slashing. And to top it off, the cinematics are excellent. But what else would be expect from Kojima? After all, pretty much the entire 2nd half of Metal Gear 4 was a well crafted cutscene. All in all, Castlevania Lords of Shadow has just moved very high on my list for the 2010 year, and that's a lot considering there are Nintendo 3DS launch games, Donkey Kong, Halo, Call of Duty, Metroid Other M and Little Big Planet 2 this year. 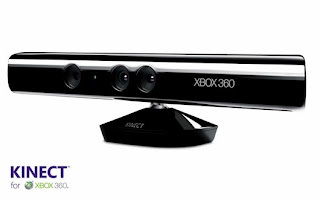 3D is certainly the go-to catch phrase in the video game industry these days. Avatar, (the highest grossing movie ever) was released, Nintendo just announced a Nintendo 3DS, and Sony announced that pretty much every first party game coming out this year would be 3D enabled. We all know how these games play, as they are all pretty much sequels, so we'll skip the gameplay. The real question is, how do these games look? 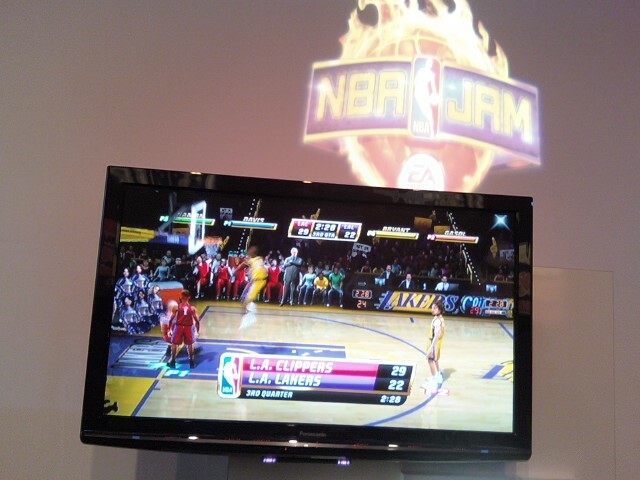 I played two of the 3D enabled PS3 games on the show floor today and I can say they are currently shooting 50/50. When I played Motorstorm: Apocalypse, I tried it on 2 occasions, it seemed almost too hectic. I'd like to think I can handle a fast paced game and properly follow the action, but this was just a little too much. 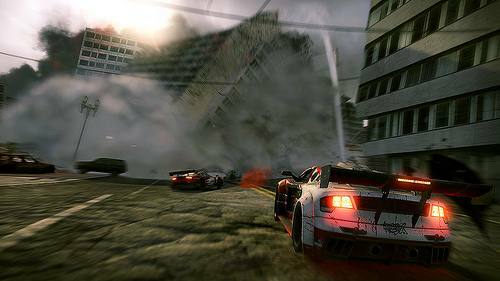 Motorstorm, as a game, just had too much going on in the environments for my head to comprehend what was going on. I literally started feeling a little woozy after only 2 races. Killzone on the other hand was a beautiful game in 3D. Motorstorm is a fine looking game too, but Killzone really made the 3D effects come to life. I think the game was far less crowded and far more polished. So at least Killzone gives me hope for a positive future for Motorstorm, and other PS3D games. So all in all, 3D can work on the PS3, and it can work really well. The key is that it has to be done right. If you have the funds to afford a 3D capable TV, 3D glasses, a PS3, and any of the games that allow it that is. Have any questions, fire 'em off in the comments. The Conduit 2 is very similar to the original Conduit for Wii, but with more polish, more levels, more weapons, and more variation. Everything you would expect from a sequel. 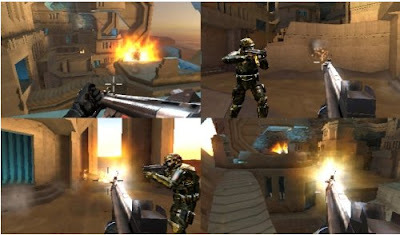 Conduit 2 is a first person shooter for the Wii. The story takes place right after the first Conduit ends with Agent Smith trying to destroy a bunch of aliens who have been controlling earth for years. The only location shown in the demo was an oil derrick in the middle of the ocean. High Voltage, the developers, wouldn't say what other locations will appear in the game but promise a level from every continent. Each location can be completed in different ways too. Instead of a straight forward linear way to get through each level, there are sections where the level branches. You can choose which way to go so the game will have more replay value. One major improvement in Conduit 2 is the AI and variety of enemies. Every human in Conduit 1 behaved pretty much the exact same and didn't react to what you did. But in Conduit 2 the enemies will use objects as cover, will attack you differently based upon what weapons they have, and will pursue you in more strategic ways. The mulitplayer in Conduit 2 will have more maps and better online support. All the original multiplayer maps will be in the sequel plus about ten new levels. Conduit 2 is one of the first games to use the newly announced Headbanger Headset. So it will be much easier to communication in team based game modes. If you liked the original Conduit, you will definitely enjoy the sequel. The game does not match 360 or PS3 first person shooters in terms of features or graphics, but it promises to be one of the best FPS games on the Wii. Activision will have lots of games on display at E3 2010. There will probably be some Tony Hawk game on display as well (now rumored to include snowboarding). Any big Blizzard annoucements will probably be saved for BlizzCon instead of E3, so those will have to wait. Marvel vs Capcom at last year's show was fun to demo because there was always a line of people playing and watching. Just like at arcades, the winner stayed and played the next challenger until they lost. I'm surprised to see another Bionic Commando from Capcom. 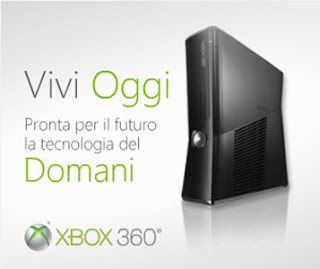 The first one on Xbox 360 and Playstation 3 didn't sell very well initially. Hopefully the second game is better received. They will also be showing some download only games for Wii and iPhone. I'm looking forward to the remake of Lufia: Curse of the Sinistrals. I still haven't played the SNES version and the DS one will give me a good excuse to pick it up. 2010 will go down in video game history as the year of the "Stadium Events Mania". Prices spiked for both versions of Stadium Events only to plunge back down a few months later. What caused these wild price swings? What can collector's learn from the Stadium Events Mania? Stadium Events is a video game made for the original Nintendo NES. It was released in the USA and Europe in the late 1980's by the publisher Bandai. The US rights to the game were purchased by Nintendo so they could release the game World Class Track Meet. Bandai recalled Stadium Events but before they could stop the sale, a couple hundred games were sold to customers. Because of the recall, Stadium Events in the USA (NTSC version) are very rare with only about 200 copies believed to exist. 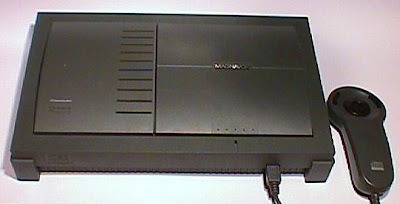 The European version (PAL) is much more common because Nintendo never recalled the game after it was produced. Stores were allowed to sell copies they had on the shelves. The exact number of copies isn't known but there are probably several thousand. The rarity of the two games are very different but they look almost the exact same. There are only a few differences between the two games (see our Stadium Events version guide), which helped contribute to the mania as we will explain below. On February 10th, 2010 a person listed a Nintendo and five games on ebay. One of the games was a complete version of NTSC Stadium Events. The auction ended at $13,105 and was widely reported on mainstream news sites as a $13,105 Nintendo system. People who were not game collectors started to hear about Stadium Events BUT none of the major articles mentioned the difference between PAL and NTSC versions. Within days people started listing PAL and NTSC Stadium Events games for sale on ebay. 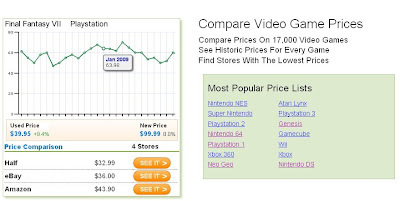 Prices for the NTSC version went from an average of $1,025 in January 2010 to $6,400 in February, a 500% increase. The PAL version also increased nearly 500% from $179 to $1,070. All the publicity for Stadium Events surrounded the NTSC version, but the PAL version increased in value just as much. In fact between February 11th and February 20th, prices of both versions were almost exactly the same. The average PAL game sold for $1,900 during this time while NTSC games sold for $1,600. The average PAL game was a bit more expensive because there were more complete sets instead of cartridge only auctions. Buyers were paying the exact same amount for the games because many new game buyers didn't know there were two versions. By February 21st though bidders started to know the difference. Prices on PAL versions started to plummet going to $700 then $450 and all the way to $350 by the end of the month. On February 26th a sealed NTSC Stadium Events sold for $41,300. 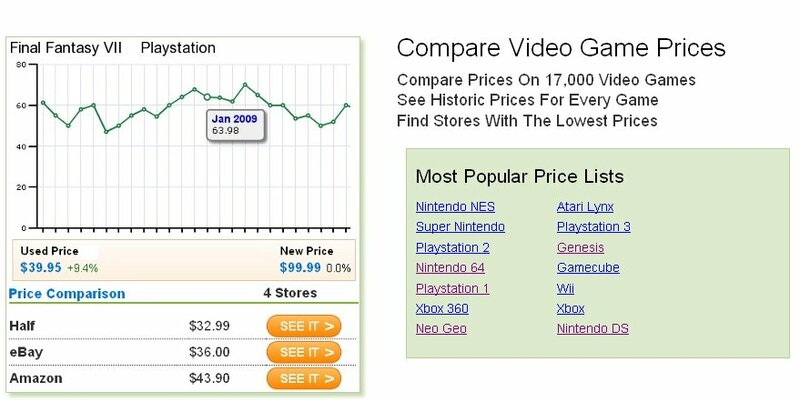 This was the highest price ever paid for a video game (The seller has never verified that payment was received though). This brought even more press coverage and kept NTSC Stadium Events prices near record levels during March. One seller bought a Stadium Events auction specifically to resell it a few days later in hopes of making more money. "This game might look familiar, because it is. I bought it just a few days ago" he said in the auction. With lots of hype in the auction description about making tons of money on the game if you buy now. This is a classic sign of a mania as Charles Mackay described in Extraordinary Popular Delusions and The Madness of Crowds . People start speculating in hopes they can sell it for more to the next speculator. By April 2010 prices on NTSC Stadium Events dropped to an average of $2,500 and have continued to drop to an average of $1,800 in June. This is 72% drop in price within three months. The PAL version has decreased to $380 in June. The most recent sale was just under $160, an 85% decrease from the high price. Both games are approaching their pre-mania prices. Don't get caught up in the hype surrounding high profile auctions. Most buyers are only interested in the games for a month or two and then their interest dies down. Sit on the sidelines and wait for prices to come back to more reasonable levels. This is definitely one of those classic "easier said then done" statements, but it will save you lots of money as a collector.